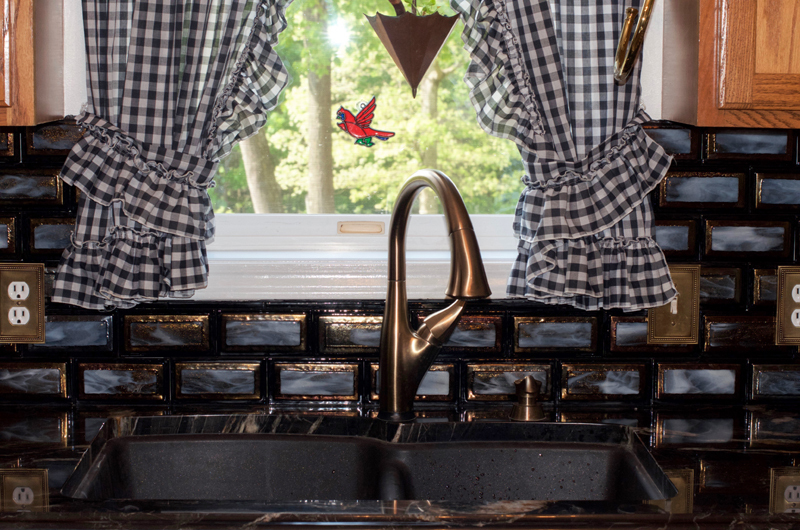 We created this very dynamic kitchen backsplash for our client in Pennsylvania. 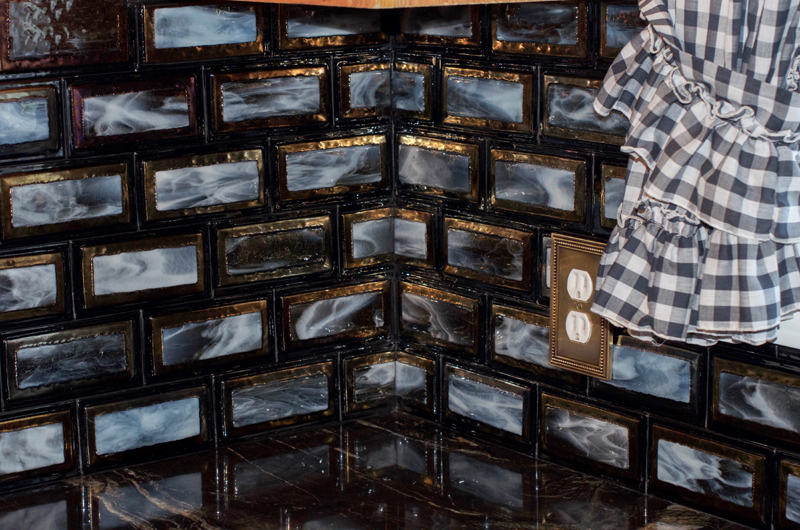 Each stacked tile is made from three layers of hand-cut glass (black, iridescent gold, streaky white) fired in our kilns. 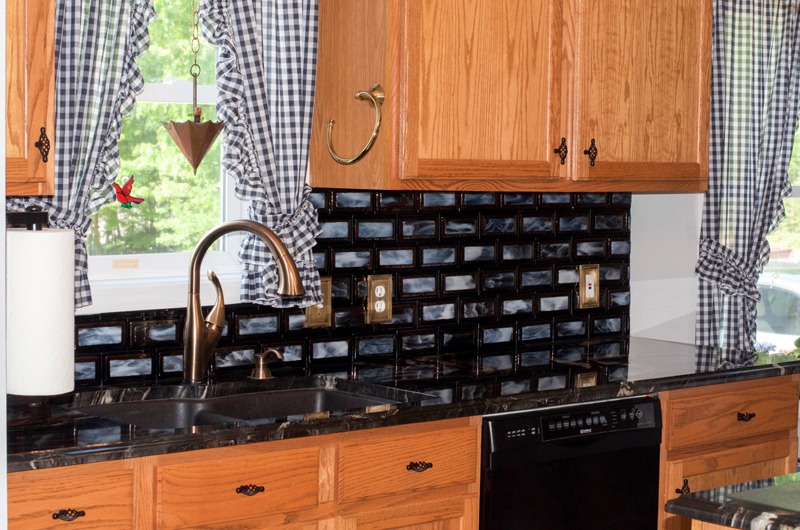 Our clients sent us wonderful templates of their kitchen backsplash sections (to include cut outs for electrical outlets) and we carefully sculpted the 3″ x 6″ tiles to fit. 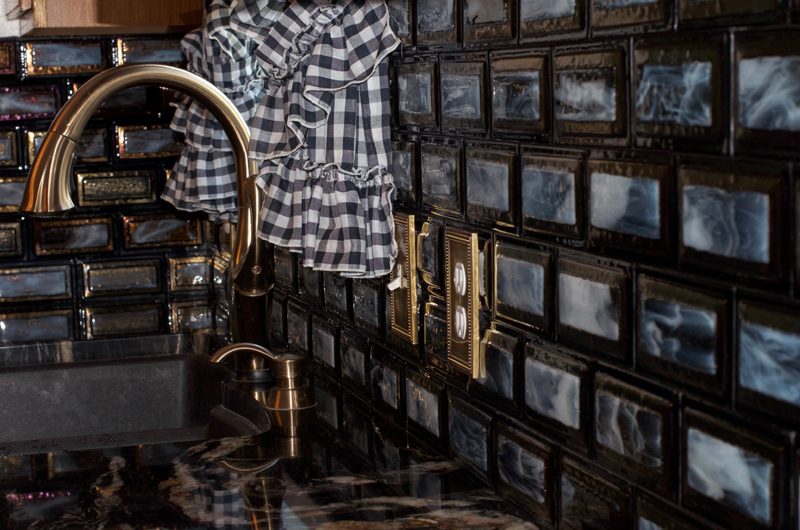 Our client actually did the installation themselves and commented how the tiles “fit like a glove”.